Iran's non-oil commodities exports increased - IRAN This Way: Become familiar with Iranian lifestyle! The latest official figures show that Iran’s exports of non-oil commodities over a period of nine months starting 21 March 2016 increased by around 10 percent – another indication which shows that the country’s trade is improving after the removal of multiple years of sanctions. 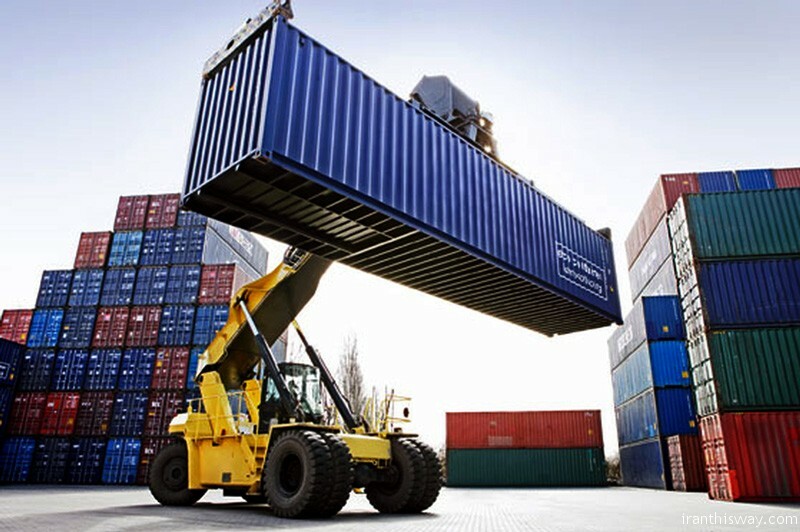 Figures released by the Customs Administration of Iran show that non-oil exports over the period reached as high as $31.59 billion – an increase of 9.5 percent compared to the same period last year. Imports also stood at $31.53 billion, showing an increase of 4.3 percent year-on-year. Nevertheless, a comparison of the two figures showed that Iran’s trade surplus was positive, a statement by the Customs Administration of Iran showed. Gas condensate comprised the majority of Iran’s non-oil exports over the period at 16.2 percent with a collective value of $5.12 billion. The main export destinations of Iran over a period of nine months of 2016 were China ($5.69 billion), the UAE ($5.50 billion), Turkey ($2.71 billion) and South Korea ($2.33 billion). Next top exported items were liquefied petroleum gas (LPG) and light industrial oil each with a share of 6.18 percent and 3.89 percent and the net value of $1.95 billion and $1.23 billion, respectively. The main export destinations of Iran were China ($5.69 billion), the UAE ($5.50 billion), Turkey ($2.71 billion) and South Korea ($2.33 billion), the statement added. Also, figures show that a majority of the imports were carried out from China ($7.51 billion), the UAE ($5.10 billion), South Korea ($2.50 billion) and Turkey ($2.18 billion). Iran’s Customs Administration further emphasized that imports from the above countries had seen moderate declines. There was only a significant rise in imports from Germany. Imports from Germany over the same period had seen an increase of 38.22 percent with a total value of $1.78 billion, the statement concluded. Pingback: Iran's mineral products export hits $4.4bn in 8 months - IRAN This Way: Become familiar with Iranian lifestyle! Pingback: Iran's iron ore exports record sharp rise - IRAN This Way: Become familiar with Iranian lifestyle!